Conservationists are infuriated about a consignment of more than 200 wild animals shipped from South Africa to national parks in Angola. Their chief worry is that most of the animals do not naturally occur in Angola. Of the 215 buck sent from bomas in North West province to Angola’s Kissama National Park in December 2014, only 12 eland could possibly qualify as indigenous to the area. Conservationists said the move went against biodiversity policies for national parks adopted by most Southern African countries, in addition to guidelines provided by the International Union for Conservation of Nature (IUCN). 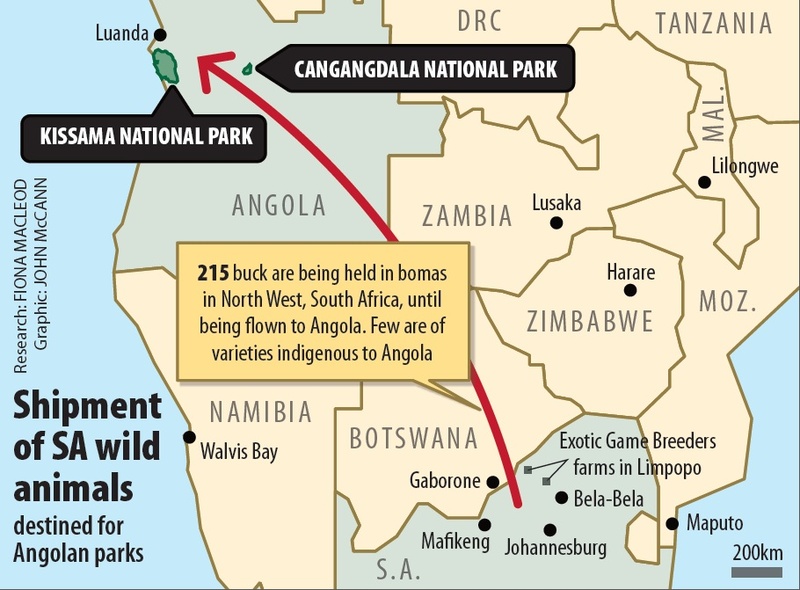 Several members of the organisation’s antelope specialist group said the Angolan government would be better advised to focus on repopulating its parks with indigenous local species. 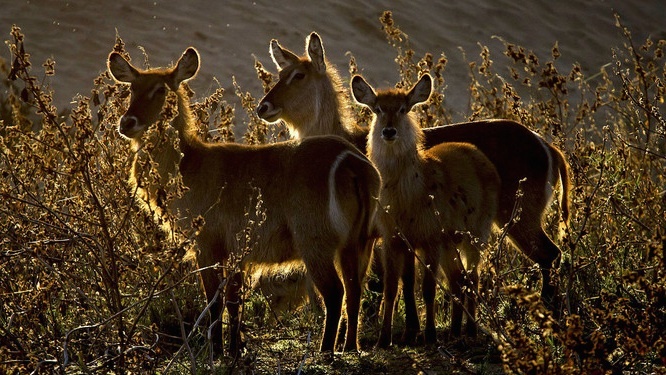 “It’s like the Kruger National Park announcing that they plan to bring in lechwe or sitatunga from Botswana,” said scientist Petri Viljoen, a South African member of the antelope specialist group. The animals were sent to Kissama, also known as the Quiçama National Park, about 70km away from Angola’s capital, Luanda. Included in the shipment were common impala, kudu, oryx, red hartebeest, plains zebra, blesbuck, blue wildebeest, common waterbuck and nyala. South Africa’s environment department said it was aware of the planned export of the animals, but that it was not part of an intergovernmental exchange or donation programme. According to the exporter, Miguel Ferreira of Exotic Game Breeders, they would be kept in a fenced-off area at Kissama and used to stock Angola’s nine national parks and other nature reserves. “The objective of this legal importation is for the development of an intensive wildlife breeding programme to reverse the process of annihilation of wildlife as a result of the war and replenish all parks and nature reserves throughout Angola, taking obviously into consideration the animal species that occurred in those areas in the past,” Ferreira said. Several biodiversity specialists pointed out, however, that with the exception of the eland, all the buck species are extralimital (not indigenous) to Kissama and most parts of Angola. A subspecies of eland historically occurred in the park, though it is not certain whether the 12 being shipped out are from the same subspecies. 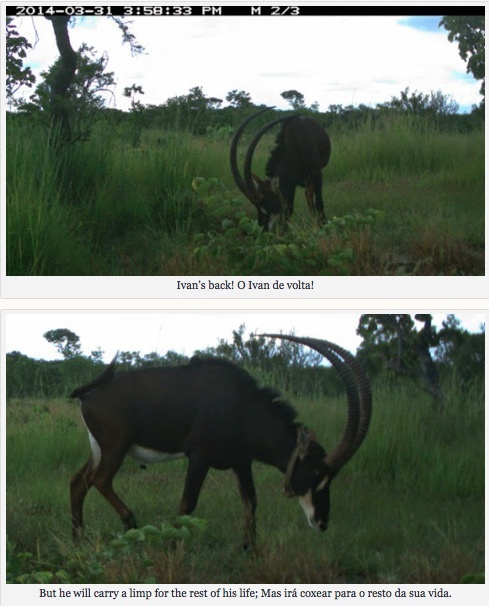 Species such as nyala and blesbuck are alien to Angola, the specialists said, and could become invasive. There is also a risk the animals will simply die off if they are unable to adapt to Angolan conditions. Another concern was that the animals were moved in midsummer, the worst time for translocating wildlife because of the heat and females lambing. Similar controversies raged around Operation Noah’s Ark, a much-publicised wildlife translocation project at Kissama between 2001 and 2008. It resulted in at least 55 elephant, 140 eland, 11 giraffe, 50 kudu, 45 wildebeest and 45 zebra being transported to the park and enclosed in another fenced-off 10 000-hectare camp. Ecologists in Angola said this camp had become overstocked, raising further questions about why the new shipment of animals from South Africa was necessary. “This new shipment of South African animals just adds to the unhappy situation of turning Kissama National Park into a zoo. The government would be better advised to spend their money on breeding up iconic Angolan species such as red buffalo, sable and roan,” said one scientist. He did not want to be named because he advises the environment ministry in Angola. The Angolan ministry did not respond to questions about the shipment. 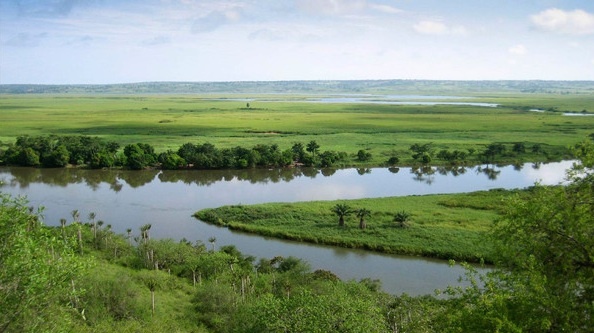 The Kissama Foundation, which has advised the Angolan government on the rehabilitation of its national parks, said it opposed any introduction of animals that is not in line with the principles of the international Convention on Biological Diversity and the Convention on International Trade in Endangered Species, as well as IUCN guidelines. “Any massive introduction or reintroduction of wildlife in the national parks should be conducted based on scientific studies and veterinary support,” said Vladimir Russo, executive director of the foundation. In recently released guidelines on the translocation of plants and animals, the IUCN warned that “translocations of organisms outside of their indigenous range are considered to be especially high risk, given the numerous examples of species released outside their indigenous ranges subsequently becoming invasive, often with massively adverse impacts”. A comprehensive risk assessment needs to be done before a proposed translocation goes ahead, and where any uncertainty remains about risks and their impacts a translocation should not proceed, the guidelines stipulate. Of equal concern to the specialists is the suspicion that the South African wildlife traders behind the deal have their eye on acquiring giant sables from Angola. Known in Portuguese as palanca negra gigante, giant sable are described as critically endangered on the international conservation union’s red list of threatened species. Believed to have died out in the wild during the Angolan civil war, two small populations were photographed by a hidden camera in northern Angola in 2006. These populations are now guarded in breeding camps in the Cangandala National Park and Luando Special Reserve, where recent field research has shown they are vulnerable to poachers. With their huge, backward-sweeping horns measuring more than 1.5m in length, giant sable are coveted by wildlife breeders and could fetch up to R20-million on the market, according to the experts. Exotic Game Breeders, a company co-owned by Ferreira and Lee Cannata in Limpopo, specialises in breeding “animals of exceptional quality” and claims to “have improved the genetics of our breeding herds with great results”. On their website they offer Matetsi and black-masked sable from Zambia for prices ranging from R220 000 a head, as well as species such as golden wildebeest and black impala. “Our concern is that they are breeding across different subspecies, mainly to sell them for hunting purposes,” said an adviser to the African chapter of the antelope specialist group who did not want to be named. A wildlife veterinarian who works in Angola said South African wildlife breeders have managed to import sought-after Zambian sable and giant eland from Cameroon, and could feasibly bring in Angolan giant sable without too much fanfare. Ferreira and his Angolan partner in the deal, whom he named only as Filipe, denied they had any intention to trade giant sable for the animals that are being sent to Kissama. They refused to name the officials from the Angolan national parks board with whom they were dealing, citing contractual confidentiality. The private game industry in South Africa, represented by Wildlife Ranching South Africa, has boomed in the past five years. The selling price of sable has grown by up to 479% and of disease-free buffalo by 540%, according to Business Day. He cautioned against “emotional hype” created by confusion around the definitions of indigenous or non-indigenous species and hybrids. “South Africa has a unique and treasured wildlife ranching industry that has contributed greatly to the numbers of many species of game animals returning to pre-1850 levels. [Wildlife Ranching] would support the export of South African animals to other countries in Africa – where the authorities request assistance to restore their natural heritage and/or are properly consulted by the benefactor or importer – so long as all the necessary health and environmental aspects are well considered,” Oberem said. The South African department of environmental affairs said it was investigating whether the parties involved in the Kissama shipment had applied for permits to import Angolan animals in return. Will your city survive climate change?